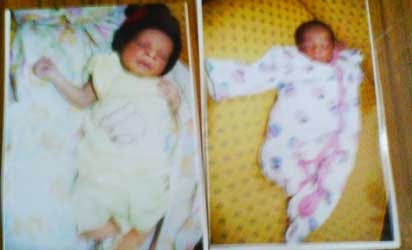 Mrs Roseline Akinsola, 50, on Monday delivered a set of twins after 14 years of childlessness. The News Agency of Nigeria (NAN) reports that Akinsola, who works at the Ekiti State Christian Pilgrims Board, was full of praises to God for answering her prayers. “I thank God for the new name he has given to me; before, I was being called Iya Iyanu’’ without a child, but today, my name has changed to “Mummy Twins.’’ Many of my colleagues, friends and neighbours mocked and sidelined me, but because I stood firm on the words of God, He answered my prayers. I thank my husband, who inspite of the troubles and problems from family members, friends, colleagues and neighbours still believe in me and God. He stood by me like a father in all ways and also believed in God all through the crisis. I also thank my siblings who stood by me in prayers for years. Let me thank God for all those who stood by me in prayers and encouraged me not to desist from serving God. These children are indeed signs that God never forgets his own people who diligently seek him and believe in his words, ” she said. “We have known the couple for over 15 years and they have been steadfast and faithful in serving God inspite of the challenges they were facing. For years, I and my wife have been praying to God to give the couple the fruit of the womb; I am so happy that the lord has answered their prayers. The church witnessed a similar miracle in 2013 when a couple, members of our church delivered a set of twins, a boy and a girl after 31 years of childlessness,’’ he said.